We hope that you are aware of how much risk spyware can pose to your business. Your business generates, collects, and leverages truly considerable amounts of data each day that is intended for your business only. While spyware that is introduced by a hacker is a bad thing, what if the manufacturer of the device installed a program that pulled data from your machine? Well, if you have a desktop workstation or laptop that was produced by HP, there’s a good chance that it is happening to you right now. While this may sound like a beneficial service, it still doesn’t explain why HP doesn’t ask for permission to install it. If you would rather not have a program like this on your business devices, sharing an unknown data sample with HP, it is fortunately simple enough for IT to uninstall. 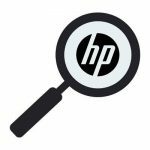 All they have to do is check the Windows Services interface for “HP Touchpoint Analytics Client,” disable it and uninstall it from your installed programs list. If your IT team needs assistance in adding this to their other responsibilities, Compudata is here to help. Give us a call at 1-855-405-8889 to learn more about how we can give your internal IT resources a helping hand.